Here at Taylor Diesel, we maintain our technology so we can keep on track with the era we are in. We have replacement 1999 Ford Powerstroke 7.3L Turbocharger that carries a quality factor that gives your vehicle an enormous enhancement. We also have remanufactured 1999 Ford Powerstroke Turbocharger offered that comes in good shape with outstanding performance and enhancements. Taylor Diesel Group is the right choice that manufactures the stock turbochargers that are included from the factory in Ford itself. 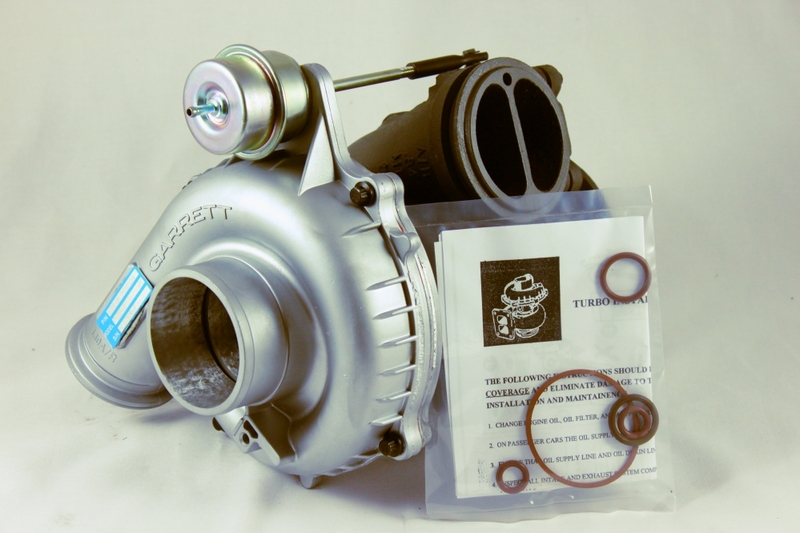 You can even purchase your remanufactured 1999 Ford Powerstroke Turbocharger available and in stock. Given that it is OEM qualified, it only means that each part come with a warranty that you can avail once you make a purchase here at Taylor Diesel. Aside from the fact that our products are standardized with OEM calibration, we also have the fresh and the new 1999 Ford Powerstroke Turbocharger that will provide you the stability that lasts long enough that would definitely save you money in the long run. Ford Powerstroke diesel turbochargers are intended to enhance fuel combustion competence and power of the Powerstroke diesel engine. Shafts are used to join turbines and compressors to each other. The air is forced into the diesel engine’s chamber, this for fuel to burn competently. Because of this, there is a decrease in emissions that go through the exhaust systems that is released in the environment. There were few notable changes made in the 1999 era most especially to the 7.3L Powerstroke to be specific. To cool the charged air from the turbocharger, an intercooler was added to it. A performance tuner can give you some serious HP gains and it also helps to upturn your oil mileage. 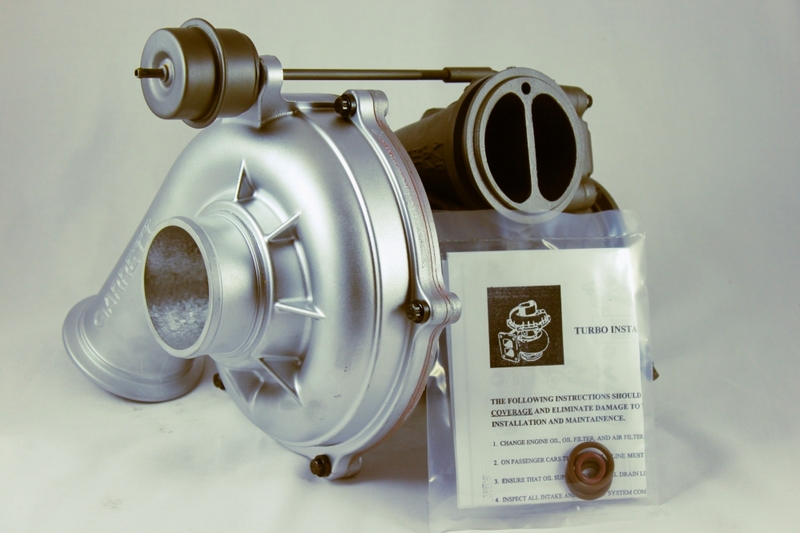 Factory and high – performance turbochargers are also available here at Taylor Diesel. We have everything from high pressure fuel pumps, glow plugs and even filter to keep your Power Stroke on the road. The equalization of reduced mass of air at the inlet of the compressor occurs is the reason for no power loss. Ford Powerstroke Diesel Turbochargers are intended for high-altitude performance with low power loss and improved performance. This is because of the variance in pressure amid the lower outlet pressure ambient and the turbine’s constant upstream force. Both the good functioning of your fuel filter and the quality of your engine oil are very important for the good functioning of your turbocharger. When changing the filter, give it some extra attention to keep any possible debris from entering the engine by accident. One of the most important maintenance tasks is to regularly replace the oil filter. The most common issue with turbochargers for the past years comes from the absorption of small particles that get there because of a busted air filter. To remove and replace an air filter is easy to hear but if you are not that familiar, it is always best to consult with the mechanic most especially that the cause of turbocharger problem is only outdone by oil issues. Because of the massive amount of horsepower that is created by a turbocharger and the extreme heat on which it maneuvers on, it is easy to conclude that this piece of vehicle does require extra care and maintenance for it to be durable enough. Another important thing to consider for your turbocharger maintenance is the replacement of your air filter. Where To Buy 1999 Ford Powerstroke Diesel Turbocharger? We have various locations across different states which is convenient for clients that are located far from our main office. You can also check on us online for the specifics about where to buy 1999 Ford Powerstroke Diesel Turbocharger. Rest assured this comes with an excellent performance. Apart from working with famous and major manufacturers, we have been certified as well for training on turbochargers. Taylor Diesel Group has been in service for quite some time. Our products and services were truly proven and tested because we never stop until we have the right troubleshooting method for whatever problems you have with your automobiles. Call us! We would love to hear from you and answer any questions you might have about diesel fuel injection and full service diesel repair,Replacement 1998 Ford Powerstroke Turbocharger, EGR Cooler Kit for Ford Powerstroke, Where to buy Oil Cooler and EGR Cooler Kit for Ford Powerstroke Engine, Ford Glowplug Control Module, Ford Powerstroke Fuel Injection Control Module and more Ford diesel repair parts and services than we can list.